When the cones go up on 12th Avenue between Madison and Pike Sunday afternoon, more than 40 local businesses will be pulling out all the stops for the first 12th Avenue Festival. Gunn hopes the event will help Hill residents discover new favorites instead of seeing the same old strawberry shortcake, roasted corn and craft vendors who appear at fairs and festivals around the region. All the festivities will be locally sourced. Osteria La Spiga will be offering Italian street food outside of the restaurant and Cafe Presse will have cheap sandwich specials, to list a few. “We just wanted to have a festival to celebrate all the great local business,” Gunn said. Live performers will be lined up along the street and dance demonstrations will be held by Century Ballroom but if the kids get antsy with the more adult oriented activities, kid musicians Charlie Hope and Doug Fleming will be performing inside Izilla Toys’ new 12th Avenue location. Though only 12th Avenue will be closed, the fun doesn’t stop there. 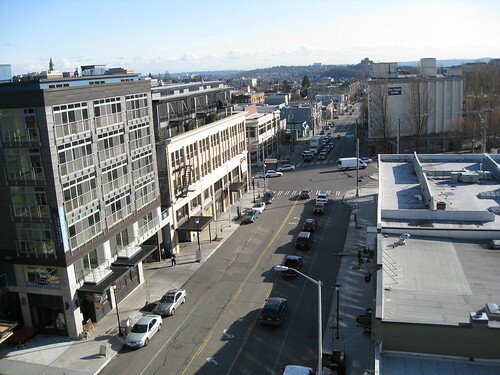 Local favorites like Elliott Bay Cafe and Molly Moons will also be on the street. You can work up an appetite with more sunshine and good times at Thursday’s monthly art walk and MadArt in the park events. An interesting idea for future years (if this becomes annual, I started a bit of a dervish with the first annual question) is to somehow incorporate the Capitol Hill Farmers Market. As they won’t be in their normal location for the next few years, maybe close off an additional block or two for the market. when is 12th ave fest? Funny how the time and day are left out here. The Festival is this weekend on Sunday August 15th from Noon to 6pm. Please join us! Thanks. Fixed. The ‘info box’ got cut in an edit. Sorry for the mistake. also, la spiga offer italian food not spanish. It always looks like that. Maybe stop to clean up a piece or two on your way through instead of bitching about it. I clean up my own part of the hill but can’t keep ahead with the cesspool that is Pike. That’s my point – there’s so much garbage that people just get used to it cause they simply can’t keep up with it.